Turbo and NA are the same. I dont know about Autozone, but these are some of the filters I know of. I'm going to temporarily sideline the car until the timing belt & misc. arrive from IPD. It's currently stuck waiting for the MANN air filter to restock, so it's a bit frustrating! I guess I can sort out the reg paperwork in the meantime. Might pick up some other bitsa from the local Volvo dealer in the meantime: Door lock button, maybe brake pads, and OEM oil filter so far. Anything else worth buying over IPD? While I have you all here, the engine only leaks while it's running and immediately after it's shut off. Is that a sign of a rear main seal leak? It's otherwise bone dry. The engine also didn't leak until after the oi change. No clutch slip either. EDIT: I've done some homework and I'll probably poke around under the car during the timing belt change. Just wanted to see if any of you have been in this situation. Last edited by snailmale; 10-11-2018 at 01:12 AM.. If you are positive it isn't a valve cover gasket leak it is most likely a rear main seal on the cam. There is a possibility it could be a head gasket compromised in a certain way but I find the chances of that unlikely. Clean it well with some heavy duty degreaser and let it dry. See if you can toss some baby powder or flour or something to give a clear visual of leakage if it is hard to see the contrast. Have a friend start it and see where the leak is originating from. Pro tip: If you spray your engine with water when it's warm, be sure to mask off the distributor well or steam will get in there and condense. Then you have a fun mystery misfire, but pulling the cap and wiping it dry fixes that. Thanks for the help so far. The rear cam seal feels pretty grimy and I was staring at the trans bellhousing/engine mounting point with the engine on and it was not leaking. Still gotta feel it while the motor's running. That's probably going to get added to the shopping list once I get my IPD box. Looks like I don't have to pull the engine, so that's a nice way to end the day. I also noticed the a 2016-dated belt which at least indicates the car was at least cared for and a sign the seller wasn't making it up. Apologies if it seems like I'm so obsessed with this one issue. The Bentley manual's in the mail and I just want to tackle some of the more obvious issues. Don't sweat it. There is a perfectly logical explanation for what is going on. We will use the ol scientific method and figure this out. I have 4 mann oil filters on hand, but any filter will do for the time being. My thoughts are new fuel pump and filter for sure, with a vehicle that old. Might total around 100 bucks, but well worth it to eliminate issues at this point. Make sure your fuel, spark, and air has a solid foundation. Also, there is an in-tank fuel pump that is really fun to replace, but I think the main inline pump does most of the work so if that's new you will be ok for a bit. Replacing the in tank pump will extend the new inline pump's life quite a bit. My kids are screaming and I need to deal with parent issues so I'm cutting this short. I tried the flametrap fuel pump test. Took fuse out, ran jumper. Right side: Silence. Some sparks, but silence. Guess that means a new in-tank pump + filter is on the list. 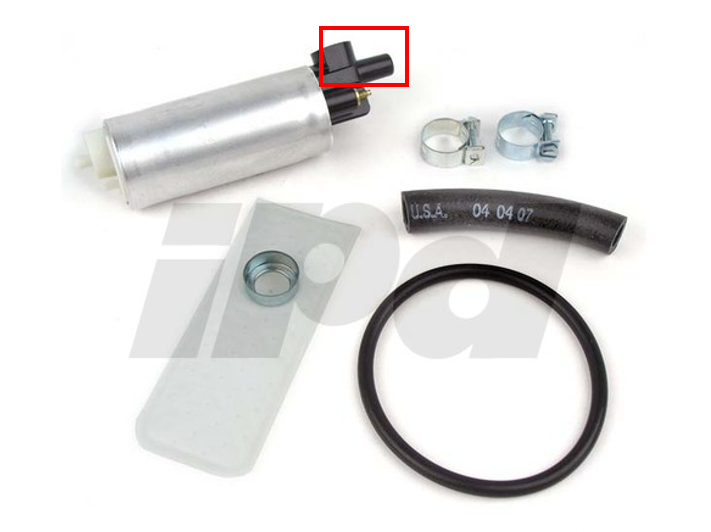 Any point in replacing the high-pressure pump as well? What I know of this car suggests it's a pretty recent incident. Here's to hoping IPD gets that Mann air filter back in stock, because it's holding up my order with the brake pads. Brakes are nice to have! Might just cancel it, I want this car back on the road. Last edited by snailmale; 10-14-2018 at 08:20 PM.. Call IPD and tell them to ship the pads separate. They are usually pretty easy to work with. If you think the inline pump has recently been replaced you might get away with just the in tank pump. My 240 wagon is in the same boat I think. I just replaced the inline pump and filter under the drivers seat, and the new pump still sounds like a swarm of angry hornets in a coffee can. I'd get the "upgrade" version of the tank pump. I had issues where the stock replacement tank pump would not provide enough volume of fuel to the high pressure pump causing the main pump to buzz. The upgrade pump moves more fuel and has been keeping my main pump quiet for several thousand miles. Update! IPD shipped the parts just as I was about to cancel the order and rebuy everything. I now have the upgrade in-tank pump, filter, brake pads, and a (hopefully) spare tune-up kit in hand. Hope to get the pump installed Friday and the brake pads Saturday, though that's subject to change. I've also been plotting the rust removal strategy. Picked up a new toy that should help. Need a few more bits to round out the job, but I have to move a fighter jet first. Last edited by snailmale; 10-24-2018 at 11:59 PM..
Nice! I ordered the upgraded in tank pump for my 245 as well, for 45 bucks it's worth the peace of mind. Thanks for the tip oldschoolvolvo. Nice car, give it a clean, detail and post some photos. I am impressed you have received positive attention form Ken, white wagons have a special place in his heart. I assure you all I have not forgotten about this car. Life's been pretty busy finishing up the F/A-18 restoration project with the local community group and family events - I only had time to pull the cargo floor and give it a good cleaning with laundry soap & water. Boy, this was filthy! Carpet still feels a little tacky so I think I might give it another rinse when I have time, but it's a good sign that the carpet is salvageable. USPS also arrived with the air filter I ordered as I was scrubbing down the carpet. The dry desert environment means it's 90% dry in less than half a day. Check back tomorrow for the fuel pump install. I also promise to tackle the rear cargo bay with degreaser if there is still daylight. Goal is to have it running & driving reasonably well by the end of next week now that I have time. It will be garage kept once I get a handle on the oil leak. Then the fun begins. At least it won't be subject to cat pee courtesy of the neighbor's cat. The Bentley manual is worth its weight in gold. It is much better to buy this book than throw parts at the problem. The return line has a big 'ol crack in it. Well that's a bit of a setback. Is there a ready replacement from Volvo or will I need to fabricate my own? 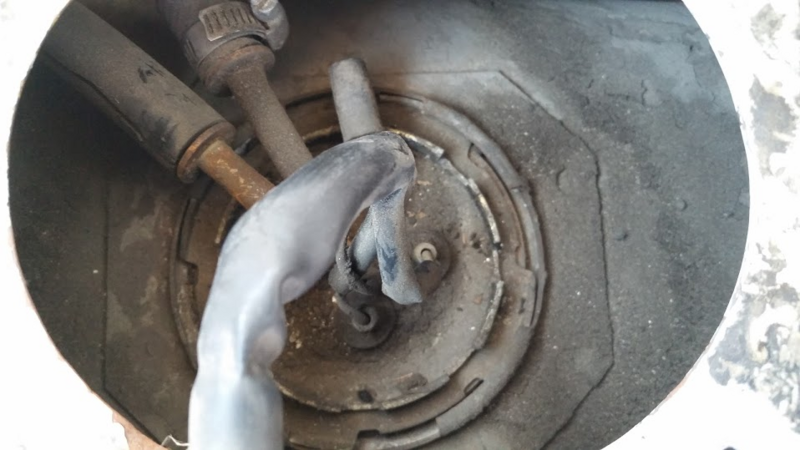 That's a rubber cover over the hard plastic fuel line. It's fine just the way it is. Well, I was able to get the main line off, but the return line is not looking so hot. Hose grip pliers look like they'll keep chewing the line and the line does not want to come off the fitting. Should I start thinking about sourcing a replacement? The plastic line is swedged onto the fitting on the sender. You're supposed to disconnect the fitting at the other end of the plastic hose and remove it with the sender. Later cars just used rubber hose and clamps. Ah, I see. That would explain a lot. I thought somebody did a bodge job years ago. All the youtube videos I saw were of later cars and Bentley's wasn't the clearest about this. Will give it another go tomorrow afternoon. Thanks for the advice. Well, got it onto a lift only for the hard line fuel hose to break while disconnecting since the fitting is seized solid. Fortunately some kind soul left a good foot long section of SAE 30JR7 hose behind so I should be able to fabricate up a replacement line to grip onto the remaining 1/4" on the fitting tube. I have a healthy supply of hose clamps and I'm not afraid to use them. Also, what is that clear hose for and should I be concerned that it's dry? Didn't graduate at the top of my class but I can tell you that's broken. I'm currently at a stand still. 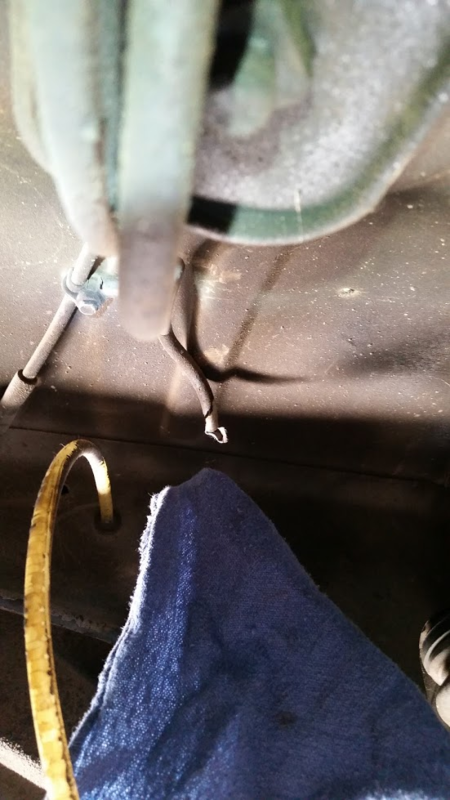 The supplied fuel hose doesn't want to travel all the way down the fitting on the replacement fuel pump. Do I really need to get it in there all the way or is just enough for a hose clamp enough? Update! I have the new in-tank pump in and I'd like to say the car runs better. 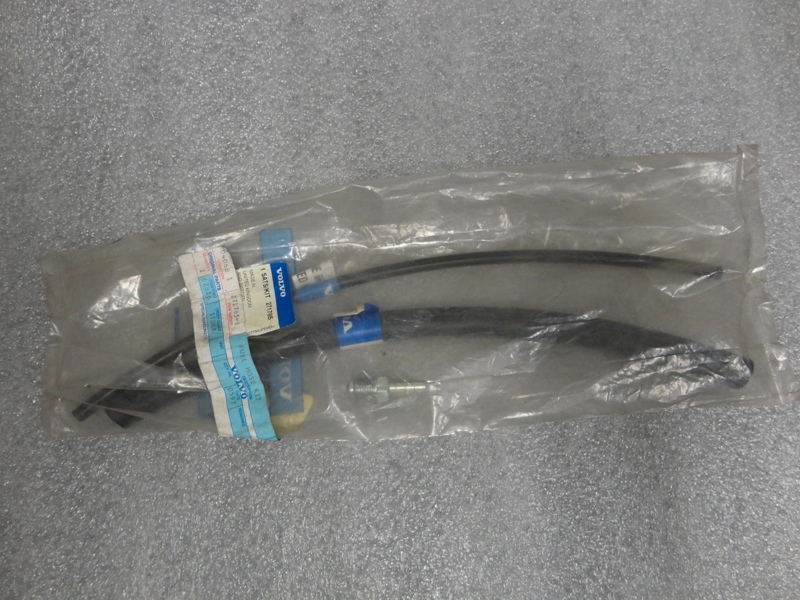 I also fabricated a new section of fuel hose and it's as tight as a drum. However, I noticed that the in-line pump's sprouted a bit of a leak, so I guess that's next on the agenda. Also, I noticed a pretty nasty amount of fuel spilling out of the right rear corner between the wheel and the bumper. My research led me to here. Could it really be a matter of me not clicking the fuel cap enough times? I noticed a little black hose running out of the opening in that area. Let me know if you guys want pics. I wouldn't say it's a heavy leak, as it stopped after I shut off the engine and it was more of a pool that got sloshed out if anything. A good wipe down took care of the leak. I noticed that the in-line pump's sprouted a bit of a leak, so I guess that's next on the agenda. I had this leak issue as well (tightening the banjo bolt with a box wrench). I was irritated and impatient at the time, so I tossed a socket on the hammer drill and snugged it up with a relatively low clutch setting, and it seated the 2 copper o rings well enough to stop the leak. I was going to work on it some more this weekend but the stupid Harbor Freight jack still needs a thorough bleed before I can use it to lift things. I'll probably tighten the stinking banjo nut as advised. The weekend wasn't completely lost - I was able to salvage another section of the rear carpet. There was a nasty caked-on stain left behind when something melted years ago. I started with chipping off the harder bits using a flathead screwdriver. Warm water and laundry detergent & Borax applied with a stiff brush took care of the rest. It isn't perfect and the carpet is still bad in places, but it's a multi-fold improvement. It could use a final vacuum. One of the metal clips underneath is probably toast even after some aggressive wet sanding, but I think I can just put on a quick hit of flat black to keep things from getting worse. The structural integrity is there, it just looks awful. Edit: If we're looking at the tray with the in-line pump & accumulator, from the back to the front, is the accumulator the little tube thing that sits on the right? Because it's the one on the "passenger" (right) side that's leaking. Last edited by snailmale; 11-15-2018 at 01:15 AM.. Yes, fuel pump on the outside, accumulator on the inside.